Can you outsource your nuclear lab accreditation? IAC or ACR accreditation is a critical component of a quality assurance program and directly affects your reimbursements. Considered the industry’s gold standard, accreditation demonstrates adherence to strict national quality standards that ultimately ensure the highest level of patient care. The typical accreditation process can be completed in an average of 3 to 6 months and the designation is valid for three years. However, your practice must not only earn the accreditation, but it must also maintain it. Accrediting associations perform at least one audit per three-year period to confirm the continued delivery of high caliber care, so keep in mind that accreditation is an ongoing effort, not a project that has a completion date. An effective accreditation program is one that continually allows you to evaluate your practice and successfully holds you accountable to certain standards. There are multiple facets, reporting requirements, and analysis that, in order to gain the full benefit of the designation, need to be embraced. Much can change in a 3-year period and if your practice doesn’t make the necessary improvements until the eleventh hour, your reaccreditation might be in jeopardy. With that said, some of the biggest obstacles practices face include the time commitment and resources needed to ensure continued compliance; monitoring continuing education completion, interpreting and implementing guidelines and regulatory changes, updating policies and procedures, running reports, reviewing case studies, and holding quality improvement meetings, are just a few examples. Most practices do not have a seasoned employee with accreditation experience on staff and, if they do, they run the risk of their only expert leaving the practice at some future date. So, how do you ensure the successful application and proper maintenance of your accreditation? Outsourcing the accreditation process is one way to ensure that all aspects of the process are anticipated and accurately completed in a timely manner. 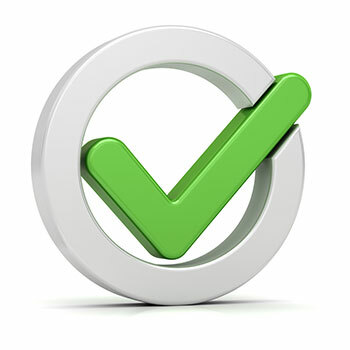 Digirad has two solutions for practices in need of accreditation. By utilizing one of the Digirad Select packages, you’re able to leverage the Digirad accreditation, which lends accreditation to your practice. Digirad’s multi-location IAC accreditation service makes accrediting your lab fast, easy, and less expensive than committing to the process yourself. For practices interested in traditional nuclear lab accreditation, Digirad offers a consulting package to assist with the initial accreditation or reaccreditation process. Digirad’s experts have a comprehensive understanding of the accreditation process and will manage the collection, preparation, submission, and review of the completed application. With expertise in both nuclear and echo accreditation, they will simulate an inspection and help you address the findings so you’ll be well prepared for an audit. Ongoing, they’ll initiate quarterly quality assurance meetings to review the ongoing maintenance of your accreditation program where they’ll review policies and procedures, make improvement recommendations, alert you to new or revised regulations, and measure your progress. Using a consultant can often be a costly option, but Digirad’s tiered pricing approach to accreditation makes it a more affordable option. For a small investment, your application for accreditation could be handled much more efficiently, with the insight of experts, and without unnecessary stress. Most importantly, you’ll have a program that continually evaluates your practice and works to improve the level of care and service you provide your patients. For more information on Digirad and the Digirad Select accreditation services, click here.